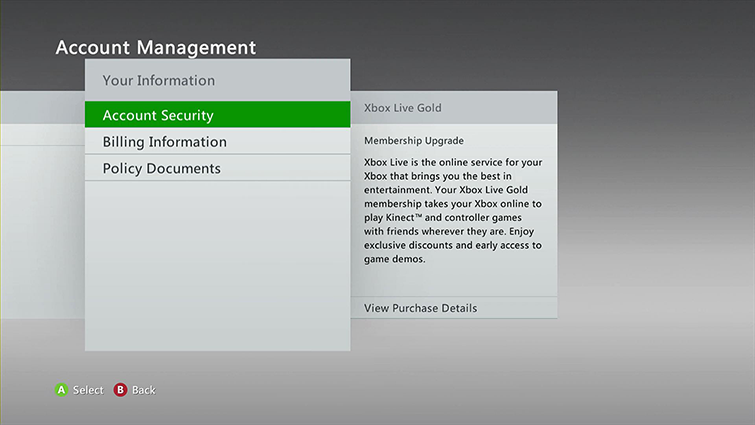 You have a variety of options for managing your sign-in preferences on your Xbox 360 console. You can save your password on your console so you don't have to enter it each time. Or, for added security, you can require the console to ask for a password each time you sign in. You can also remove your password from other Xbox 360 consoles remotely so that others can't access your account without your permission. This page describes how to manage these sign-in preferences. 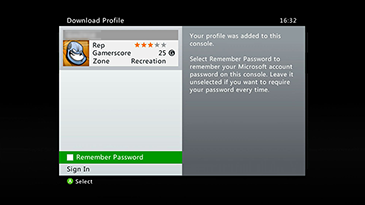 When you first set up your Xbox 360 console, or after you download your Xbox Live profile to a console, you can choose whether you want the console to remember your password. By default, your password will not be saved. If you've set up your console to require a password each time you use it, and you don't want to do this anymore, you can change this option the next time you sign in. When prompted for your Microsoft account password, select the Remember Password option. You won't be prompted again. 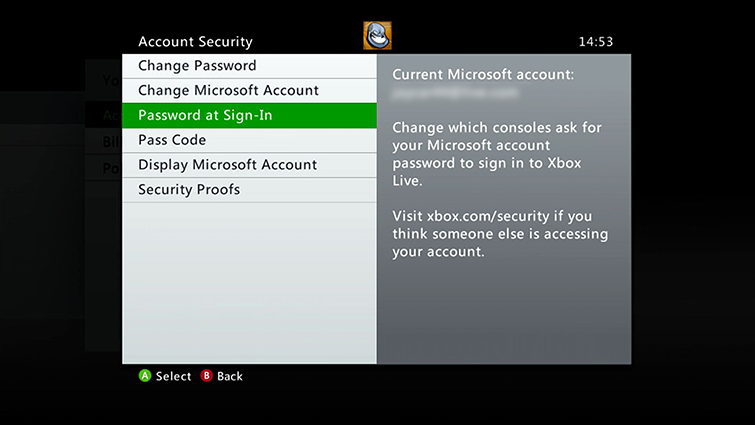 Sign in to your console using your Xbox Live-enabled gamertag and password. Scroll to the right, and then select Account Security. Select Require Password Here. When prompted, click Continue. 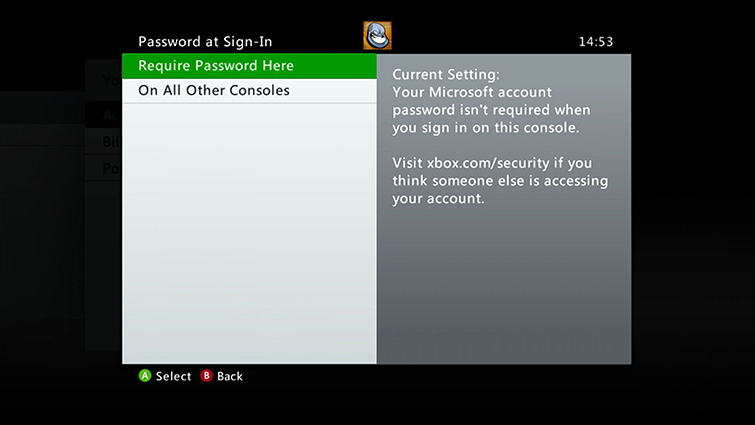 The next time you sign in with your Xbox Live gamertag, the console will prompt you for your Microsoft account password. Option 1: Change your password. The next time anyone tries to sign in on any console where your password has been saved, the sign-in will fail if they don't know the new password. Sign in to your account on Xbox.com. Select Xbox settings from your gamertag drop-down. Once you select Require Profile Download, it will take effect immediately. 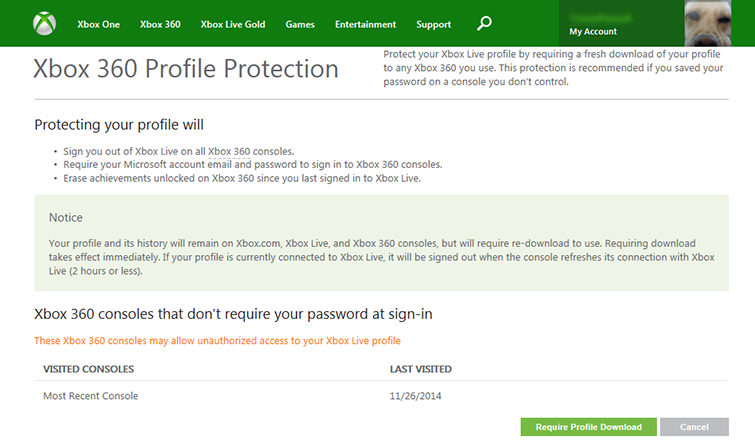 Your profile and history will remain on Xbox.com, Xbox Live, and Xbox 360 consoles. But anyone (including you) who wants to use an Xbox 360 console with your profile on it will be required to redownload your profile to connect to Xbox Live. For more information about how to download your profile, see Download your Xbox Live profile to a different Xbox 360 console or redownload it. ¿Quieres contactar con el Soporte técnico con referencia al problema "Manage your sign-in preferences on your Xbox 360 console" acerca del que estabas leyendo o con referencia a otro problema?